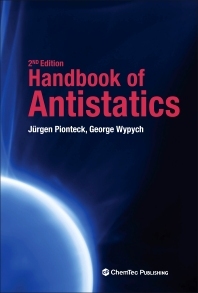 Handbook of Antistatics, Second Edition, is the only comprehensive handbook to cover all aspects of antistatic agents, including a complete review of existing literature and patent information on additives capable of modifying properties of materials to make them antistatic, conductive, and/or EMI shielding. Information on the use of additives in various polymers is divided into types and concentrations of antistatics used, the potential effect of antistatics on the polymer and other additives, and examples of typical formulations used for processing of polymers containing the antistatic additive. Each chapter addresses specific properties and applications of antistatic agents, including methods of quality control, compatibility of antistatic agents, and various polymer matrices (along with performance implications), incorporation methods, health and safety, and environmental implications. 7.1 WHAT INFLUENCES COMPATIBILITY OF ANTISTATIC AGENTS WITH THE MATRIX?